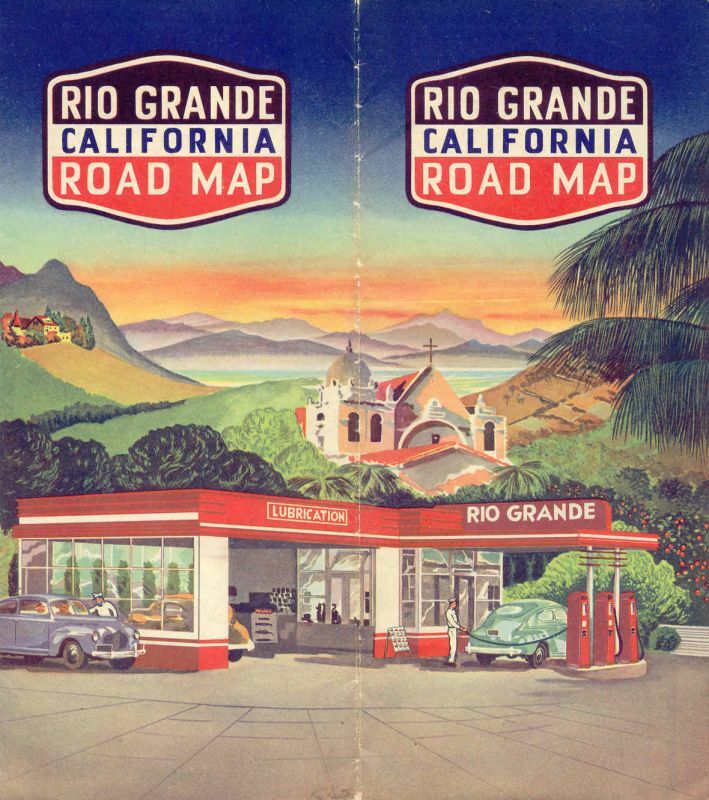 A 1942 Rio Grande map scan from David Aldred. Ukiah, California showing the Rio Grande brand. From the collection of David Aldred. 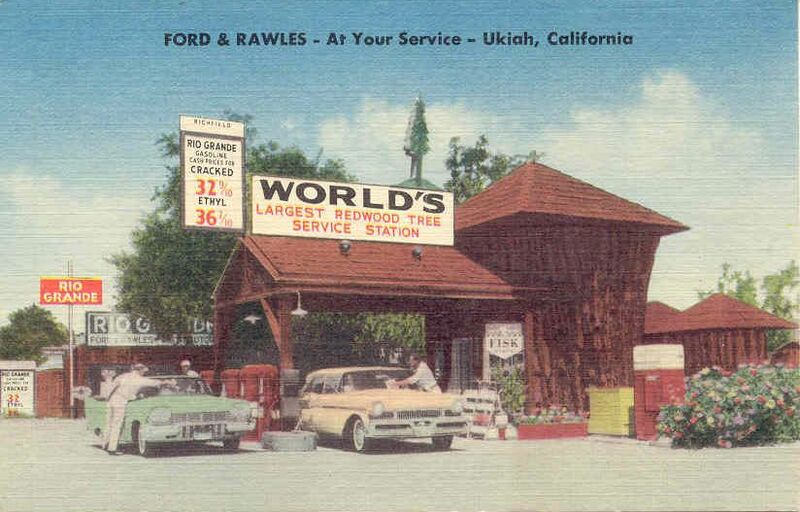 Postcard published by Johnson Co., Whittier, CA. No date or photographer credit shown. built in 1936 according to the caption on the back of this card.